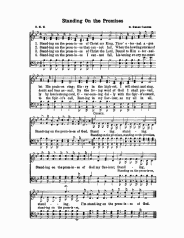 For this example, we will use the hymn Standing On The Promises. 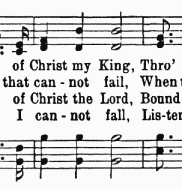 Look at the second measure of the chorus of Standing On The Promises. Suppose you wanted to put a run between this measure and the next. A chromatic run would fit here quite well. Since the notes are so close together (Bb down to G), all we need is one beat of triplets. Look at the example below. 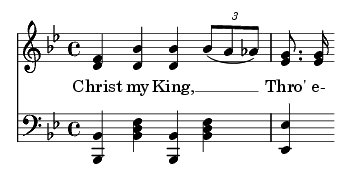 This run works for several reasons: First, the run incorporates every note chromatically between the Bb and the G. Second, the Bb, A, Ab movement suggests a Bb7 chord, which naturally leads into the Eb chord of the target measure. More information on this can be found in the section on Chord Movement Patterns.